Genuine OEM Xerox Drum Unit, Black, 19,000 page yield. Xerox part number: 013R00663. Drum Unit compatible with Xerox Color 550, 560, 570. Genuine OEM Xerox Toner Cartridge, Cyan, 32,000 page yield. Xerox part number: 006R01528, 6R1528. Color Laser Toner Cartridge compatible with Xerox Color 550, 560, 570. Qualifies for free shipping & earn 472 points! Genuine OEM Xerox Toner Cartridge, Magenta, 32,000 page yield. Xerox part number: 006R01527, 6R1527. Color Laser Toner Cartridge compatible with Xerox Color 550, 560, 570. Genuine OEM Xerox Toner Cartridge, Yellow, 32,000 page yield. Xerox part number: 006R01526, 6R1526. Color Laser Toner Cartridge compatible with Xerox Color 550, 560, 570. 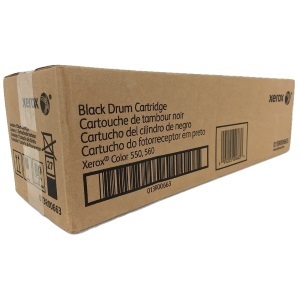 Genuine OEM Xerox Toner Cartridge, Black, 30,000 page yield. Xerox part number: 006R01525, 6R1525. Laser Toner Cartridge compatible with Xerox Color 550, 560, 570. Genuine OEM Xerox Drum Unit, Color, 85,000 page yield. Xerox part number: 013R00664. Drum Unit compatible with Xerox Color 550, 560, 570. Qualifies for free shipping & earn 344 points! Genuine OEM Xerox 110 Volt Fuser, 200,000 page yield. Xerox part number: 008R13102. 110 Volt Fuser compatible with Xerox Color 550, 560, 570.